This secret operation has lasted for around two weeks. 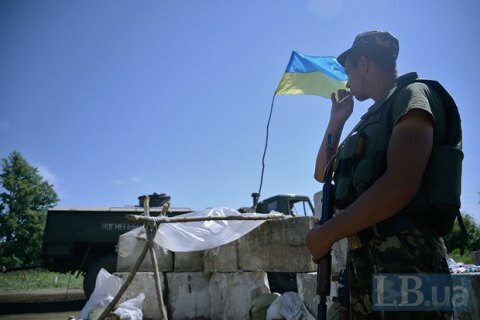 Ukrainian servicemen have restored control over new territories, having advanced 2 km ahead near the village of Zholobok in Luhansk Region, the Joint Forces Operation (JFO) HQ has said on Facebook. The JFO command decided to move positions and create a "security line" because militants used to approach the JFO fortifications near the occupied village too close. "A set of measures was planned, prepared and carried out in order to create a support strip of up to 2 km deep in the sector of defence of one of the brigades of the first echelon. For units defending in the Luhansk sector, it was not an easy task because, despite difficult terrain, the enemy fired all the time and did intensive reconnaissance," it said. Despite problems, the support strip was established. This secret operation has lasted for around two weeks. The Ukrainian army has incurred no losses. As reported earlier, the three villages liberated in the winter (Hladosove and Travneve in Donetsk Region and Novooleksandrivka in Luhansk Region) are officially no longer considered occupied. Crimean court issues verdict in "26 February case"
Ukraine envoy gives UN chief "Kremlin prisoners list"